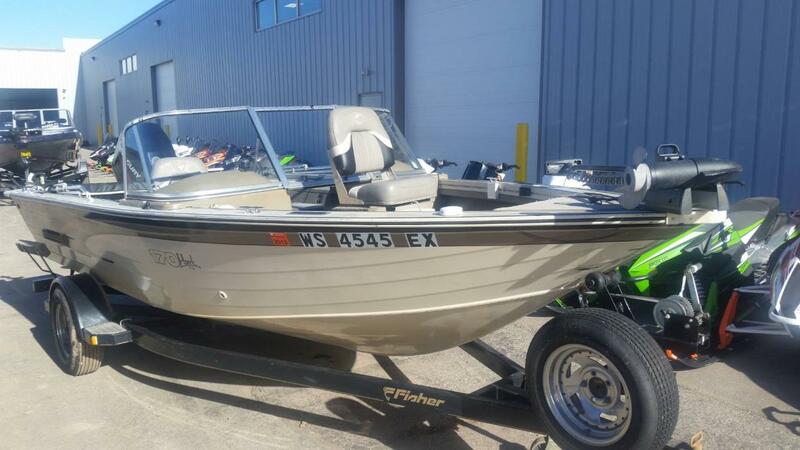 2005 Fisher Hawk 170 SC The single console Hawk 170 SC is a purposeful tool for fishing. Begin with the Lowrance fish finder and Minn Kota PowerDrive trolling motor. Move to bow and aft baitwells and recirculated, timed livewells with pumpout that are within easy reach of the fishing positions. Then find storage all around: sides, bow and in the center. For peace-of-mind and a smooth ride, discover its all-welded-hull two-piece hull with 20 degree deadrise and performance strakes. Includes 30 day warranty on motor.